-a guide on how (not) to buy a car. Orientate in the market. What is for sale and where. Can I get what I want for the money I have. Located in Norway I found few and optimistically priced cars. Britain is, needless to say, a Mecca for British cars. I admit that I frequently slide down in the bathtub for an unspecified period of time, keeping only my head and “The Advertiser” over the foam. 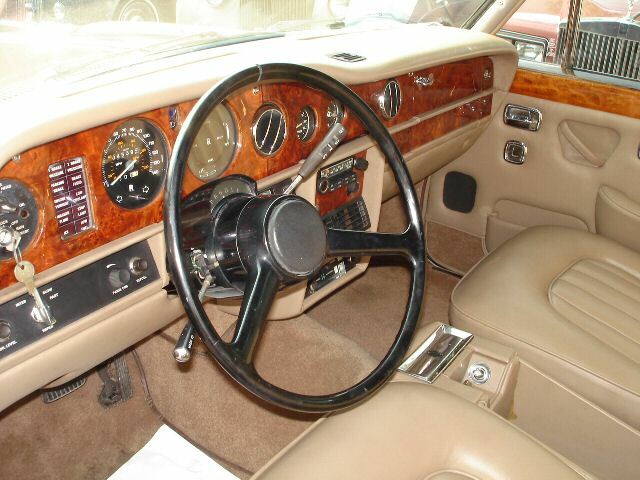 However, the British still insist on placing the steering wheel on the right side. If you decide right is wrong, you will find that few cars in “The Advertiser” are indeed Left Hand Drives, (LHD). “The Advertiser” would become so much more interesting if there were more LHDs. After all “The Advertiser” goes out to more than 10.000 members in 52 counties and approx. 35 % of the RREC members are in LHD markets. The LHD market is 65 % of the total world market and represents 72 % of the worlds roads. As it is, “The Advertiser” is more a UK magazine for the UK market only. I quickly found that the dominant market for used LHD-cars was the US. 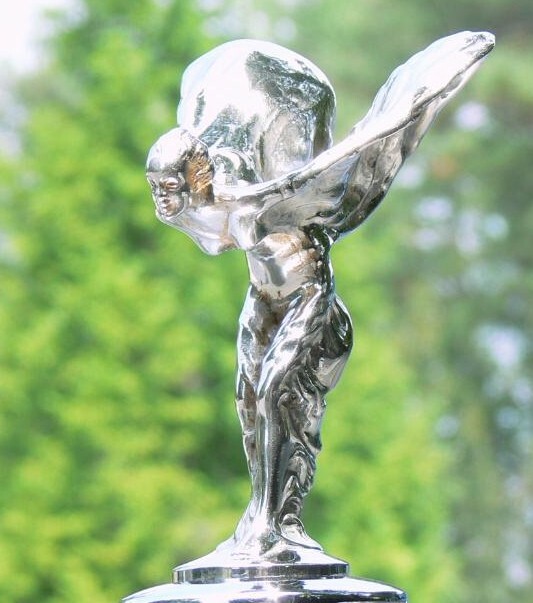 In the age of the net, you will soon find more Rolls-Royce and Bentley hits on the auction page e-bay, than anywhere else. I disliked this intensely as I wanted a car from an authorized dealer at a fixed price and with all possible guarantees. The idea of bidding for something you had not even seen seemed absurd. Looking closer into the pre-owned guarantees of the authorized dealers, I found that the ifs and buts rendered the whole guarantee useless. The guarantee is less and less comprehensive with the age of the car, amounting to zero at 15 years of age. Why then, should you prefer to buy a pre 1993 model from an authorized dealer? For older cars you are left without any guarantee anyway and anyhow. A Left Hand Drive. Not just any, but actually the one this story is about. My experience continues with e-bay. Every transaction on e-bay gives the parties a chance to publicize an assessment of the other party on the net. This system is called feedback. A seller is most interested in positive feedback in order to sell to others. As a buyer you want a seller with close to 100 % positive feedback, and many completed transactions. The feedback system can be rigged. If the seller engages all his friends and they sell items between them. Look for the kind of items sold and see what other transactions your sellers customers have had. A feature is that you can contact the people that have traded with your seller in the past. Do so. Ask specific questions on payment, the cars condition and shipping arrangements. An invaluable feature in e-bay is that e-bay as such, guarantee that there is no serous misrepresentation or fraud in their listings. If this occurs, you are entitled to up to USD 20.000 to cover (parts of) your loss. Not every vehicle is qualified for the fraud protection. If the car is covered there is a clear statement of it in the listing. Do not even consider listings without fraud protection. However the seller wanted to complete the transaction “off e-bay”. I had made it abundantly clear in my offer that my offer was on the condition that the transaction was completed in the e-bay system, as I was determined to be fraud protected. This derailed the deal and I was back to square one. Do not send money without any form of guarantee or protection. Weeks in front of the computer are here condensed to this sentence. A car at PrestigiousEuroCars in Florida had a colour combination I could like. Again it was a dealer with many and positive feedbacks. The same happened, I was the highest bidder, but the reserve was not met. However this time the seller had no objection to completing the transaction on e-bay and he forwarded a “second chance offer” through the e-bay system. To be sure I contacted e-bay staff and the assured me in writing that accepting this offer would make my deal covered by the fraud protection. I then accepted the offer and I had bought a car. The Spirit you are in when your bid is accepted. E-bay owns a service called “PayPal”. Most transactions on e-bay seem to be paid by this service. For those of you who think I am paid by e-bay to promote their products, please read on. PayPal is instant and therefore a great plus. However, trans-currency transactions are performed at ridiculous currency transaction rates. No big deal if you buy a book at USD 10. On a car however it would amount to over USD 1.000 in disadvantageous foreign exchange. Pay-Pal is fast and easy and grossly overpriced. I wire transferred the sum from my web-bank paying a fee of USD 8. Since the seller was no doubt used to instant transfer, a week transfer time made him send me a number of e-mails. It is wise to inform the seller that you intend to wire transfer the sum should you win the auction and that transfer might take a week. One might think I had been rational and behaved sensible up until now. At least I thought so. I thought that a dealer with a good reputation and selling under fraud protection, would not do anything funny. However, when shipping of the car became an issue, Bob, the seller said he would obtain a quote. He did not. I finally did, and ordered shipping. Bob on the other hand did not welcome my shipping-agent when he called Bob. The agent wanted to send the car on a roll-on-roll-off vessel from Brunswick, Georgia. Bob said plainly that the car should go into a container and my agent returned to me, mission unaccomplished. I called Bob and he was still in the process of obtaining the shipping quote, two weeks after the closing of the deal. The clock ticked. No quote arrived. No emails were answered. My feeling was now that any shipper should obtain the car and ship it no matter how, before the car disappeared from Bob. I called Bob and indeed I was right, the car was not there anymore. A shipping-guy had picked it up. And Bob did not remember his name or witch company he was from. Bob had given all the papers to the shipping-guy. Bob had a problem with his computer so he had not seen any e-mails lately. Remember, I had not arranged for the car to be picked up. Nor had I heard from any shipping company. The car was gone into the great wide open and so was the money. My reflections were that Bob's behaviour gave him the hallmarks of a swindler. No one could possibly be as unprofessional as to send the car away without the consent of the customer. I did further research on Bob and found a Robert Atanasov, owner of PrestigiousEuroCars in Ft. Lauderdale, Florida was a member of a union of professional car mechanics. This in itself was a sign that in my opinion pointed away from the swindler theory. His company had no web-presence outside e-bay. A Robert Atanasov had been a franchisee of Jaguar in the New York area, but had lost the status. He did not give up the official Jaguar-signs and continued profiling his shop as a franchise. According to various newspaper articles, Jaguar apparently used three years of court battle to get rid of Mr.Atanasov. Running his name and the company name through Florida yellow pages on line gave zero hits. Running his name through Florida white pages on line gave numerous hits, nine addresses both in Florida and in the New York area and a host of phone numbers. Not what I wanted to find, I assure you. Theoretically, it is not a crime to quarrel with Jaguar, to have moved around rapidly, to have a lot of phone numbers, or to ship the car in a container. Being extremely unaware of the need to communicate, one could even say Bob acted in my best interest. Theoretically, Bob could be extremely messy, have no idea of customer service and could have a shipping agent buddy, that Bob got commission from, and that he therefore hurried the car that way before I had the chance to say no. However, I did not believe in this theory. After several unanswered e-mails, I called Bob the 3rd of October 2007 to insist he had to get the name of the shipping company. The phone was turned to busy after one ring and subsequently only voice-mail was heard after no ring at all. This was when I decided that I should file for fraud protection under the e-bay guarantee. Via the e-bay system, I contacted other European buyers of cars from this establishment. The replies were that Bob had indeed delivered eventually. He was a good seller, but after sales support had not been his strong side in any of the cases. The evening of the 3rd of October 2007 arrived and I called again to inform him that I intended to file a fraud protection claim. However he picked up the phone and strangely produced a name of a shipping agent, Hank, and a shipping agency name, Olympia logistics. Olympia was listed as a trusted partner of other classic car dealerships. Olympia actually had a web presence and the man Bob allegedly had given the car to actually was listed as an employee. Hank, the agent, even picked up the phone. 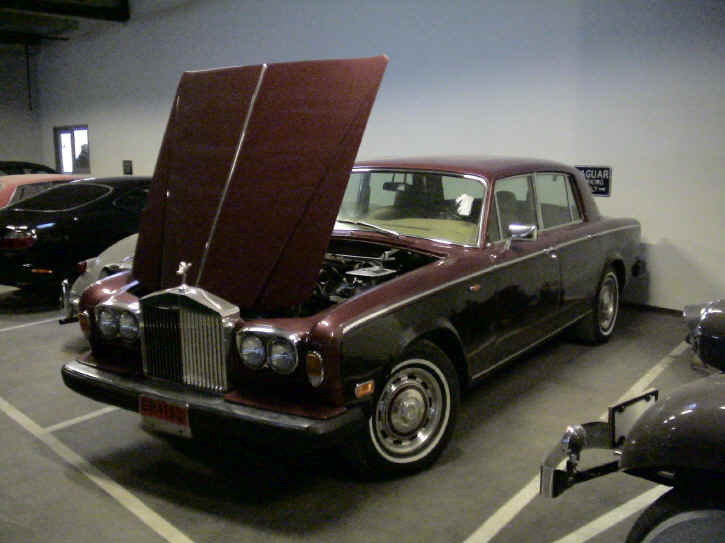 Confronted with Bob’s story, he was able to confirm that he had indeed picked up the car, “that was the Rolls-Royce. Yes of cause I remember that one.” He confirmed it was in their hands, that it left Miami the 26nd of September 2007 on the China Shipping Container Line vessel M/S Barcelona ultimately bound for Bremerhaven. Or was it? Was Hank also a buddy helping Bob in swindling overseas customers? I must say my mood improved considerably and I did not file for fraud protection yet. This is the 4th of October 2007 and the vessel m/s Barcelona is according to the shipping line docked in Houston, Texas, USA, after a tour of the Mexican gulf. When it sets sail, its next port of call will be Le Havre, France. It is the 5th of October 2007 and the Barcelona is about to cast off for the transatlantic passage to France. I received an e-mail from Olympia today, the first written paper in this story. It was an invoice and wire transfer instructions. The item was simply described as “Freight services, Loading and Trucking Miami – Norway”. There were no references to the vessel, a container number or an “ocean bill of lading”, the freight document issued by the shipping line as receipt for the container. 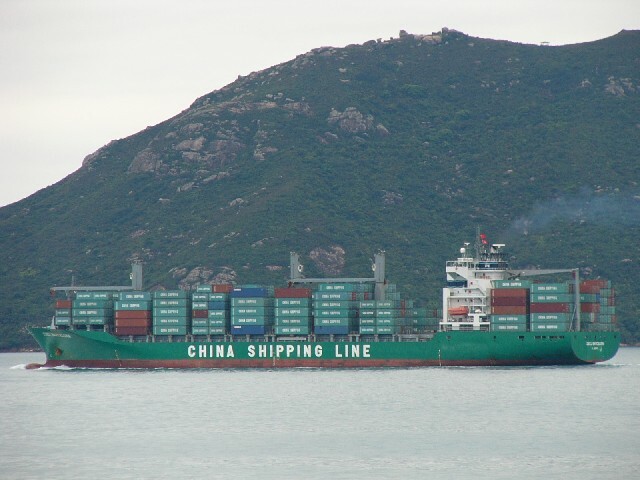 I decided to attack this problem from my side of the Atlantic and called Global Transport Services AS, the representative of China Shipping in Oslo. They could not see anything in their computer systems without the container number or the “BL” (ocean bill of lading) number. It is the 9th. of October 2007 and the Barcelona steams steadily over the mid-atlantic ridge. Olympia has provided a container number, but not the "BL". Global Transport Services AS has identified the container in their system. It landed in Miami. No trace is found of it aboard any of the China Shipping ships after Miami, so it seems like the container is still in Miami. However, a laps in the computer system is not uncommon, they say. They urge me to obtain the “BL” as it is the ship’s confirmation that the freight is actually aboard. I will indeed write to Olympia again. The 10th of October 2007 the riddle is solved. The “BL” number is received from Olympia and Global Transport Services in Oslo immediately confirm that the container is indeed onboard the M/S Barcelona, that it will be carried on a feeder ship from Bremerhaven and that it will be in Oslo the 22nd of October 2007. I just lost considerable weight. You shall have the original Bill og Lading airmailed to you as soon as the car(go) is sent. 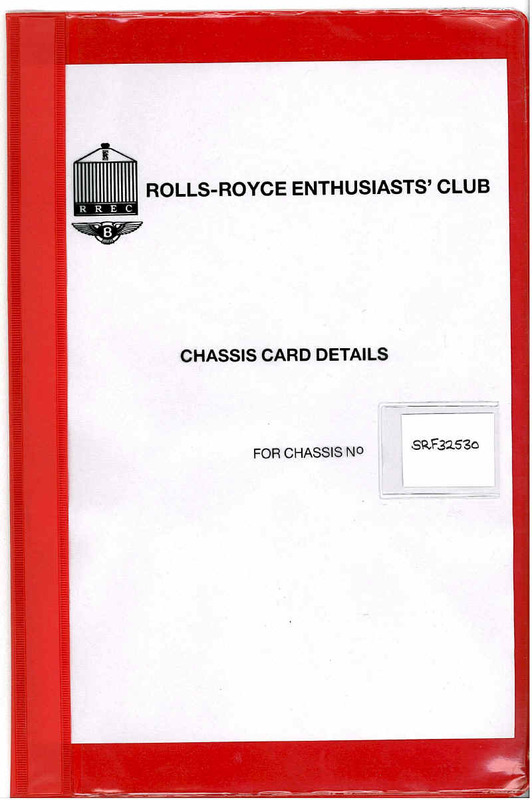 I obtained a copy of the original build records for the car from RREC headquarters at a cost of £ 40. They show that the car is not a Florida car as advertised, but a California car. More significantly they show that the car is a 1977 model year car and not a 1978 as advertised. The seller stated that “Our dealership has run a comprehensive independent report to detect any odometer manipulation with none detected.” The mileage was advertised as 45385. The build records show that at least the carpets, seat-covers, the top roll, instrument board trim and radio surround has been exchanged for something that now looks entirely new. The doors and the woodwork looks as if it has recently been redone too. One might ask if a total interior restoration would be necessary with an odometer of 45385 miles. Click here to see the build records of the car. The Chassis Card Details shows that the car sailed the 1. st of December 1977 on the “Eurofreighter” across the Atlantic and landing in Los Angeles the 19.th of December 1977. It is nearly 30 years later, the 16.th of October 2007 and the car sails on the “Barcelona” between Le Havre and Antwerpen after it’s second Atlantic crossing. I cannot help but thinking the car might look forward to run on European soil again. It is the 19.th of October and the container is offloaded this evening as the Barcelona refuels in Bremerhaven and prepares to voyage out into the Atlantic again. It is still unclear what vessel will carry the container from Bremerhaven to Oslo. A garage is prepared for the car, eagerly awaiting it's arrival. It is the 22.nd of October 2007. Global Transport Services in Oslo inform me that the "feeder vessel" “Capella” is steaming up the Oslo fjord as we speak. “Capella” will dock in Oslo this evening and offload container number CCLU2682914 at the dock at Filipstad. The container can be ready for release 07.00 the 23.rd of October 2007. So far so good. Global Transport Services need some paperwork and that is not good news as this transaction is performed in a truly paperless office. Firstly, they need the original Florida title to process the car through Norwegian customs. Secondly the shipping instructions are to hold the container until I produce the original Bill of Lading. Needless to say, I have not seen even a copy of any of the required documents. Those familiar with the Oslo skyline will see that the vessel Capella is presently docked at Filipstad in Oslo. It is the morning of the 23. rd of October 2007. Olympia Locistics in Miami claim that they will change the release of the container from “presentation of the original Bill of Lading” to another shipping term “telex release”. I guess that mean they just authorize the receiver to collect the container. 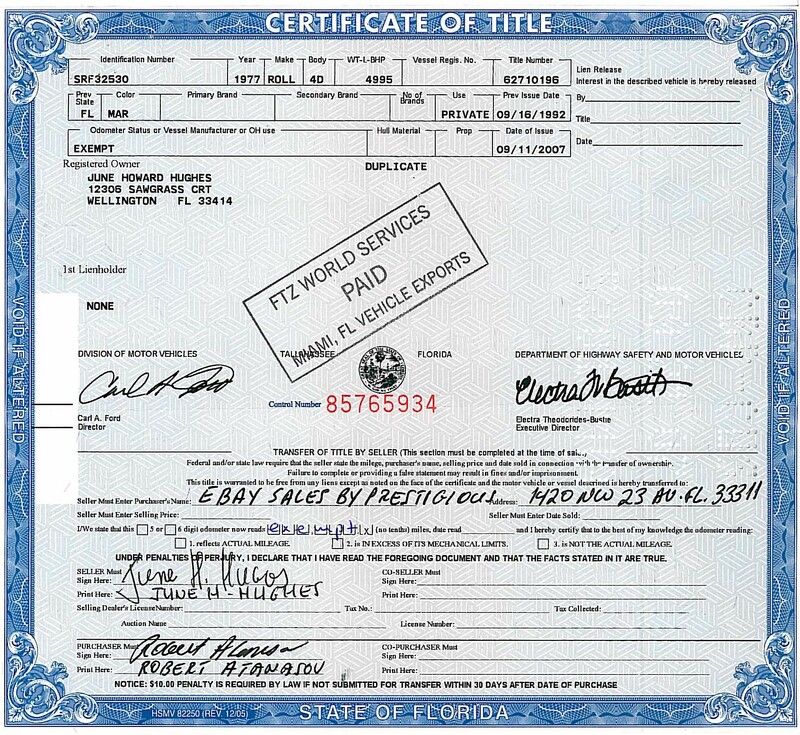 Olympia also claim they have sent the paperwork, including the original Florida title, to Global Transport Services of Oslo. Global Transport Services of Oslo, claim the container is not “telex released” and they have not received any documents on this shipment. After two days, I will be responsible for paying rent for the container. It is the morning of the 24.th of October 2007. Olympia Logistics in Miami now claim that the title is sent me, and not to Global Transport Services afterall. Olympia emails a trackingnumber. In the DHL-system, the number indicate that the papers are at DHL Norway at Skedsmokorset! I have just returned from Jessheim, where I collected temporary registrations plates for the car. On the way I stopped by DHL’s headquarters in Norway and picked up the original Florida Title. Also on the way I stopped by Global Transport Services with the title. They cleared the car through customs. As I now have a car (hopefully), registration plates and customs clearance, I could be driving away without paying container rent. However, the container is still not released. This fact alone makes me sit idle and watch the penalties accumulate. For those who like to investigate the history of the cars, please note the sellers name and compare it to the buyers name in the build records. Prompted by one of our “addicted” members; here is the update for the 25.th of October 2007. I wrote to the registered seller, June Howard Hughes, to ask for any information she might have regarding the car. Hank, the shipping agent in Miami was called by yours truly yesterday evening our time and informed that the container was still not released. He assured me he would have it checked immediately and mail me the “release reference number”. I could not believe that I would be able to drive away the next morning. Needless to say, no such e-mail had ticked in during the night. My surprise was big when I called Global Transport Services and learned that the container was actually released! I have not been able to leave the office today as I had to do some actual work. I received the invoice from the customs and from Global Transport Services today and both are paid. In the Global invoice is included rent for the container and everything needed to drive the car away from the docs. My temporary registrations plates meanwhile, have expired. You need the original of the title. It is the 26.th of October 2007. Global Transport Services call me with the news that this shipment is picked out by some customs officer for closer scrutiny. All papers shall be double-checked. They soon find that Global Transport have submitted, my actual money transfer receipt, but not the actual invoice. I start to wonder who ought to send an add-on invoice and what ought to be the proper address(es). You need an original invoice. It can preferably be signed and sent by the same airmail as the Bill of Lading and the title. I think something might happen tomorrow. The 30.th of October arose with sun and clear blue skies and +8oC. A nice day to cruise the car to my winter storage. The handling of the container cost another fee, despite that I had asked for it all to be on one invoice and that the handling was actually listed on the invoice from Global Transport. Why? 3. The original Bill of Lading. How come this learning is preached by me? I am an amateur who has just learned it by banging my head into all the obstacles. As far as I can see, there are three others in this story that should know and should have told me. 3. The incoming freight agent. Society is built on work sharing. We all do specialized tasks that we do better and more effectively than the average untrained man. That is why you engage an incoming freight agent and ask him to fix everything so you can just drive off from the docks. You do not engage him in order to get every needed paper as a new surprise as soon as the last problem is solved. That, I could have managed on my own. Let that be a free lesson in customer service. Enough said about the shipping. The container opened and a broken left tail light glared at us along with a scratched rear fender. The handling man reasoned that he should try to drive the car out of the container, but it failed to start. In case the voyage had drained the battery, I bought a new battery that supplied new power. The car started, made a horrible noise, and died. We pushed the car out. The car had numerous cosmetic defects, too many to list here. It might be that the pictures on e-bay is of a different car. The one on e-bay had accent stripes over and under the shoulder line chrome list. The one I received had no such stripes. The number of cosmetic defects was so substantial that I would not have bid on it at all. Bob has been asked about any chips, dings, scratches or rust on the car and the reply was, no chips, no dings, no scratches and no rust. This alone is a prime example of serious misrepresentation. As the car would not run, even with my new battery, we opened the bonnet and found a clotted fuel filter and some makeshift “stop-gap-paste” on some plumbing. The engine died after 10 seconds anyway and I realized I would have to walk away from the docks. I collected the shippers window sticker from the rear window of the car and was astonished to find that the section labeled “Running” was marked “N”. Then, and not before, it all dawned upon me: this car did not start. It could not move. It was a sitting duck waiting for the tow truck to take it to the graveyard of rusted automobiles. This car was not even an automobile anymore, as it could not move on it’s own. This was in fact the kind of shadow being offered for USD 2.999 as project cars on ebay. I suddenly understood BOB’s sudden distress when I arranged for the car to be shipped on a roll-on-roll-off ship. This car was not running. 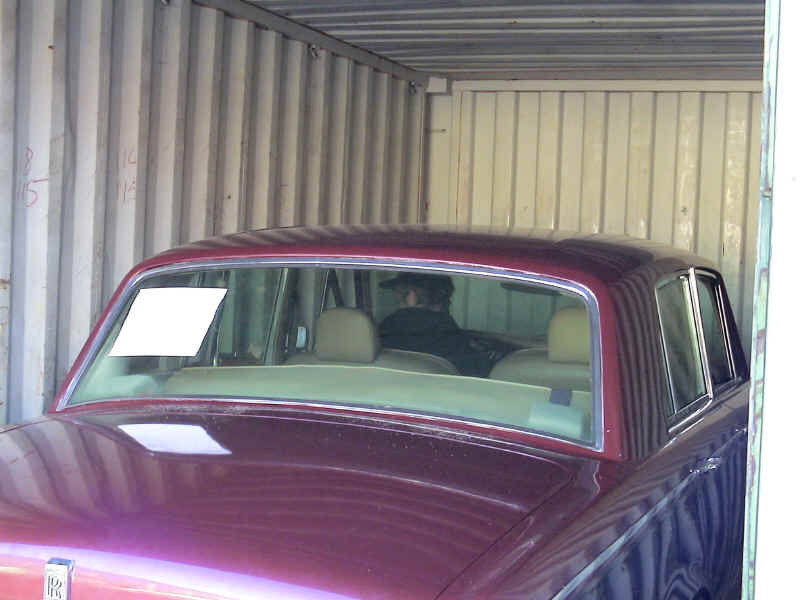 I contacted the shipping agent, Hank, who confirmed that the car was indeed inoperable when he got it. IF YOU ARE IN THE NARKET FOR A GREAT SILVER SHADOW II THAT NEEDS NOTHING TO BE DONE TO IT THIS IS THE ONE TO BUY. I am not in the marked for a car that need a total repaint and total mechanical restoration. I do not need more rusty cars. I am certainly not interested in a non-runner. Sadly, this is a car I would never have considered at all. It has no value to me. I have filed a claim under the e-bay buyer protection. At the docks, I desperately called Jaguar Norway, the former Rolls-Royce dealership, but they did not have time to spare. I called Rohdin in Sweden, also once a dealership. Anders was kind and helpful, but could fix little over the phone. As the car was inoperable, I thought a visit to a local garage might get it running in order for it to reach Sweden. Sandberg Auto was that local garage. An additional plus was that Sandberg could make a list of all the things wrong with the car. This is good ammunition when talking to e-bay-Bob. The sitting duck was then towed to fellow member Jens Rønneberg, who kindly stored the car until Sandberg could take it in. It was towed again to Sandberg with clear instructions: "I will not tow it away from you, I will drive!" The car is presently at Sandberg auto. Their findings will be published shortly. Jørgen Sandberg calls to say both carburetors are full of “mud”. One of them did not "float" as the “floater” was broken. Today, both carburetors are out of the car and both are being rebuilt with new seals and floaters. Both carburetors are now rebuilt and mounted in the car. An issue of rust under the drivers seat needs attention and welding of new sheet metal. Sandberg use this as his amusement over Christmas. The good news is that the work now being done will get the car running on Norwegian plates this spring. All according to Jørgen. This is the culprit, parked at Sandberg Auto awaiting better times in the new year. Happy new year everyone!